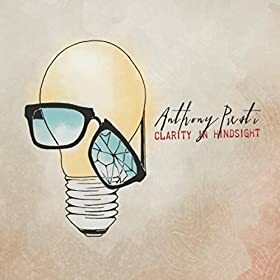 Anthony Presti's music is a lot...gentler...than what I usually write up. I dunno, sometimes you need to switch things up. Presti's second album shows a lot of creative energy and a wide range of influences, from folk to reggae to jam band rock. All of these songs are skillfully executed but the lack of focus means that some of these songs will be "misses," but most of them are "hits." Since this is a country and folk blog, those are the songs my ears fell most favorably on. "Time Will Tell" is a beautiful duet about the beginnings of a beautiful friendship. Similarly, "Let's Dance, France" and "Florence" have been occupying my dreams (literally) for the past few days. Presti is at his best when he's most low-key. These songs are intimate and familiar without seeming cliched. Presti guides us just to the left of the typical singer-songwriter and brings us to his unique voice. He's never flashy; it's just what he does. The unexpected lyrical turns and musical choices are so subtle that if you blink, you might miss it on the first time around. But it's clear that with time and focus, Presti will continue to improve upon his already outstanding craft.